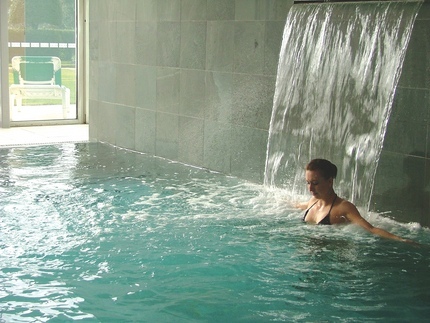 A private mansion set in Parkland, Champneys, has a vast array of treatments, as well as dietary advice and fitness programmes. Treatments range from Clarins facials, to alternative therapies such as reiki and watsu and osteopathy. There is also a range of Ayurvedic treatments. The restaurant serves gourmet healthy food. London: From Alpine shrine to urban boutique, theres nothing like a bit of R&R to boost mind and body. Savvy spas found within Preferred Hotel Group properties are combining bespoke treatments and ancient techniques with sumptuous surroundings to recharge and refresh. Harness the healing powers of cutting-edge treatments by scheduling them into day-to-day life, or for the ultimate treat, take time out for a weekend spa escape. Enjoy holistic healing at The Royal Garden Hotel, a detox at Excelsior Palace Hotel in timeless Rapallo, or a natural body peel guaranteed to make you glow at Majestic Hotel & Spa, Barcelona. Let experienced professionals scrub away your stress, soothe your senses, and massage your muscles into a state of bliss. Whatever youre looking for, theres something to meet and exceed every weary damsels need. Located just 40 minutes from Dublin and set amongst 550 acres of County Kildare countryside, this elegantly restored country house is a classic five-star rural retreat and the perfect location for a day of pampering. A hidden oasis of luxury, The K Spa uses natural extracts in its treatments to encourage the release and elimination of unwanted toxins. Combat dehydration with the Citrus Detox Reviver Wrap. Rich in pink grapefruit, juniper, and rosemary, these ingredients flush out toxins and leave skin looking dewy and revived. Relieve stress and strengthen muscles with Aromatherapy Associates Renew Rose Indulgence Facial. More than just a facial, the treatment includes a back massage using a new rose essential oil. Overnight it with The K Spa Detox Package, which includes accommodation in a superior room, Continental breakfast, Citrus Detox Reviver Wrap, aromatherapy facial and back massage. Package prices start from £282 / 295 based on two people sharing a double room. Take time out from city hustle and bustle at the Majestic Hotel & Spa. Located on the Paseo de Gracina, in the heart of Barcelona, the hotel boasts 303 sumptuous rooms. Lunch at Bar Majestic and re-energize at the spa. Protect and perfect with oxygenating facials, manicures, pedicures, heat treatments, and relaxing massages using techniques passed down from generation to generation. Get silky-smooth skin with the Crystal Honey treatment, a hydrating body peel using particles of crystallized honey which gently exfoliates, leaving your skin lustrous. Or, opt for the Ice Relax treatment after a long day on your feet. Using a refreshing gel of plant extracts to sooth tired legs and swollen ankles, this treatment rewards you with pretty party feet. Package prices for a two-night stay in a classic room start from £323 / 338 based on two people sharing. Walk through the doors of the Royal Garden Hotel and leave worries behind. With its views of Kensington Palace, Hyde Park, and the Royal Albert Hall, the setting will give you a serene perspective on life. The Soma Centre, the hotels holistic health centre, offers treatments with cosmetic and therapeutic benefits as well as yoga, pilates, kickboxing, and aerobics so you can have a total body experience. Treat the senses with a tailor-made Aroma Prescription Massage using synergistically blended essential oils designed to naturally enhance and sooth the body. Whether you need calming and relaxing, stress and tension relief, a revitalising lift or a sleep inducing formula to cure insomnia, theres a remedy to suit all. Treatment prices: The Aroma Prescription Massage starts from £40 / 41. Package prices for a two-night stay in a standard room start from £418 / 399 based on single occupancy. Situated on the edge of Lake Lugano, with stunning views of the city and Paradiso Alps, the tranquil setting of the Grand Hotel Eden offers the perfect location to escape and unwind. Take time out at the new Eden Spa, which boasts a eucalyptus steam room, sauna and sundeck, perfectly positioned to relax by the lake or even take a dip during the summer season. The Edens Pampering Break includes a two-night stay for two in a superior double room with lakeside view, breakfast, a bottle of sparkling wine, three course candle-lit dinner and two relaxing spa treatments. Try the Traditional Massage, to release stress and muscle tension or the Aromatic Beauty Touch, which uses an ancient Egyptian charming technique for deep relaxation. Package prices start from £308 / CHF 488 per person, including city tax. Relax and feel renewed at this glamorous Italian hotel overlooking the stunning Portofino Coast and Bay of Rapallo. Recently restored to turn-of-the-century splendour, the hotel boasts a panoramic swimming pool with sea view and an exclusive wellness centre. Book a getaway to this luxurious retreat and youll be sure to return home body beautiful. Dine at the hotels restaurant, Lord Byron, where the day starts with a breakfast buffet featuring regional and low-calorie delicacies, relax at The Beach Club or head to The Beauty Spa Health and Fitness Club, tucked out of the way in a natural rock formation. Try The Enveloppement Starter Detox Treatment; a body mask rich in active ingredients derived from freeze-dried seaweed, mineral salts and trace elements. Further enhanced by an infusion rich in purifying ingredients, this treatment will energise from head to toe. Package prices for a two-night stay in a classic room start from £236/ 247 based on two people sharing. Celebrating 40 years of excellence, Preferred Hotel Group is proud to be a global leader in the hospitality industry, delivering high-performance sales, marketing and technology solutions to more than 700 independent hotels and resorts in over 75 countries. Its family of brands represents a collection of the finest hotels in the world and include: Preferred Hotels® & Resorts www.PreferredHotels.com, Preferred Boutique www.PreferredBoutique.com, Summit Hotels & Resorts www.SummitHotels.com, Sterling Hotels (www.SterlingHotels.com) and Historic Hotels of America www.HistoricHotels.org. For more information please visit www.PreferredHotelGroup.com. 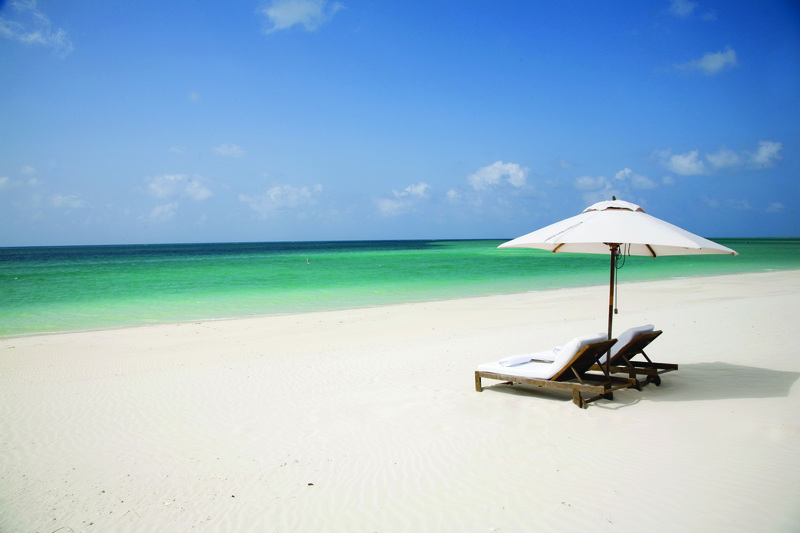 In Autumn 2007, the company entered the luxury real estate market with the launch of Preferred Residences  a membership and exchange program for luxury shared ownership resorts that provide an exceptional level of service and amenities. Properties are held to exacting standards derived from the same Preferred Global Standards of Excellence on which the company has built its 40-year heritage in the hospitality industry. For more information please visit www.PreferredResidences.com. Hamilton Island: As I step off the flight on a warm sunny morning in late spring, I am greeted by a glass of champagne and an awaiting limousine. I am definitely in the mood for the days that lay ahead as they ought to be a deliciously re-energizing break from the monotony of my daily grind. As the limo swings around a bend, two massive timber gates open simultaneously in welcome. Qualia lays stretched out before me. This is Australias newest luxury resort and the complex sits perched on a hill top overlooking the calm blue waters surrounding Hamilton Island on Queenslands picturesque Whitsunday coast. Owned by veteran Australian yachtie Bob Oakley of Wild Oats XI fame, the secluded 6 star resort is all about relaxation and stimulating the senses  and as I am guided to the reception area to take in the panoramic view below me, my senses almost explode. Qualia and its surrounds are simply breathtaking. Im handed keys to the little electric golf buggy that will become my mode of transport on the island and Im given a quick rundown on the resort and all it offers. Theres a magnificent beachside pool at Pebble Beach where one can partake in a myriad of water sports and enjoy casual dining, a range of tantalising spa treatments to indulge in, and meditation and yoga sessions available in the purpose built atrium at the highest point and centre of the island. Guests in relaxation mode are greatly encouraged to unwind and focus on the wellbeing of mind and body here. His and hers pampering includes anti-stress, anti-ageing, detoxifying and cleansing treatments with the signature treatment ‘Bularri Yarrul’, a hot stone massage using 300 million year old stones and aromatherapy treatments using unique essential Australian oils. Surrounded by the wonders of the Great Barrier Reef, Qualia puts a great many pursuits within easy reach. Adventure seekers can try sea kayaking and bush-walking; alternatively guests can charter a private yacht with their own chef for the day and explore deserted beaches and coves. Private helicopter tours are also available and range from 10-minute flights to full day excursions. As I unlock the door to my assigned room I am dumbstruck by the sheer luxury and stylishness confronting me. Architecturally superb, each of the 60 pavilions, as theyre called, is freestanding and measures four times the size of an average hotel room. Equipped with floor to ceiling windows providing stunning 360 degree views of the bays below, these one bedroom homes also feature sundecks and either private plunge pools or outdoor showers. If only one could live here forever! Qualias heart is undoubtedly the award winning architect Chris Beckinghams cliff top Long Pavilion – where the dining room, bar, lounge and library merge. The feel inside this huge space is uniquely Australian luxury and simply heavenly. It is elegant yet casual and relaxed- a place where fine textures and beautiful stone sit hand in hand with eucalyptus. Mealtime here in the Long Pavilion is a choice of indoor or al fresco dining and consists of clean, fresh, local produce which is prepared with a strong French influence that is simply delicious. I find menu choices very difficult to make and vow to sample as many different items as time will permit. My head swims too with some of the worlds finest wines on offer and an endless list of exotic sounding cocktails promising readiness in an instant. If you get the chance, you must come to Qualia. It is certainly Australias answer to world class luxury and definitely worth the visit. Try to arrange a pavilion with a plunge pool for which you can expect to pay around 800 pounds per night. Thats pretty much all youll spend daily, other than on alcohol, treatments and perhaps sight-seeing escapades, because the tariff includes all meals, non-alcoholic beverages, transfers and the electric golf buggy. To avail yourself of the Qualia experience, you need to be over the age of 18 with a love of luxury and a passion for adventure. While your travel agent ought to be able to provide you with all the information you need to make the necessary arrangements, youd be well advised to check out the website too: www.qualia.com.au You know you deserve it! Valletta: Overlooking Vallettas bastion walls across the harbour, Fortina Spa resort is a temple to self-indulgence and luxury so its little wonder that it has earned itself the accolade of grandest spa in the Mediterranean. The number of spa, health and wellbeing treatments total over 300 which can make the decision making process of which treatments to opt for dizzy-making for even the most experienced of beauty junkies. New for 2008 they are hosting Botox breaks administered by their resident Cosmetic Dermatologist, Angèle Farrugia. The choice of mid-week or long weekend breaks will be held once a month from January until June and then in October and December. The Fortina Spa Resort has teamed up with Operations Abroad, a specialist medical tourism provider in overseas healthcare, who will accompany the groups going out to Malta. Emphasis is placed upon having fun in a relaxed and pampering environment where groups of friends can stay on an all inclusive basis in the 5 star Fortina Spa Resort whilst being administered a total of 50 units of Botox per person. The areas treated with Botox will be the upper face, eyes, forehead and the area between the eyes. For guests seeking further Botox treatments there is the potential to have more whilst staying at Fortina up to a maximum of 100ml. There will also be plenty of time to explore and enjoy one of Europes most comprehensive spas which is divided into four sections: Thalasso Therapy Spa, Spa Sante, Belle Epoque and Hypogeum. At this super-sized, supersonic spa, guests are simply spoilt for choice. You can take a dip in the vast pool, stretch at a pilates or yoga class, or if chilling is your thing book time in for some serious spa relaxation. The treatment menu is vast with therapies inspired from the Caribbean, Far East and Europe. So if youre looking for rejuvenation and a short spa break why not let Operations Abroad take the hassle out of booking a trip by doing it all for you – theres step one to looking younger sorted! 10% of hotel suits and 15% of spa treatments Both offers exclude Easter and must be taken by 30 June 2008, subject to availability. Email us: makeovermailes@elixirnews.com to obtain your promotional code and contact phone number. The five star Columbia Beach Resort, one of the most beautiful in the Mediterranean is offering Elixir Makeover Miles privilege card holders discounts on direct hotel and spa bookings. The Columbia Beach Resort is surrounded by lush gardens and is an all-suite hotel. It has one of the best outdoor pools on the island of Cyprus and one of the best spas. It also has a state-of-the-art gym and several choices of restaurant. The Resort is offering a 10% discount on rooms and 15% on spa treatments – this must be booked directly with the resort. Cyprus is one of the sunniest and friendlest islands in the Mediterranean. As well as sun, sand and sea there is spectacular mountain scenary and archeological sites. The people of Cyprus are friendly and the cuisine centres around the freshes of home-grown ingredients. This exclusive all suite resort ambles gently upward from the sparkling waters of the bay following the natural incline of the landscape so that most suites have a spectacular sea view and many also look out over the 80m lagoon-style swimming pool, which is the central feature guarded by towering palm trees. All that is best in Cypriot architecture and local materials has been used. Sloping roofs and graceful arches are predominant, as is the use of natural wood and stone, and the specially reclaimed terracotta roof tiles give the whole project a nicely aged and traditional look. All suites have shuttered windows, heavy wooden doors and large covered balconies. Paved pathways, shaded by bougainvillaea and olive trees, meander throughout the resort around the traditional taverna and ouzeri, past the quaint little Chapel of All Saints and on down to the beach. The COLUMBIA SPA offers numerous therapies for relaxation and revitalising – various types of massage, body wraps, detoxification treatments, skin cleansing and toning – all performed by the highly qualified Spa staff with products from Molton Brown and Phytomer. Treatment rooms surround a central area containing sauna & cold plunge pool, steam bath and Jacuzzi. Marbella: The glamorous Sentidos en Rio Real hotel, Marbellas first and only five-star boutique hotel and member of Small Luxury Hotels of the World, has opened a stunning spa called Petite Sérénité to bring a high calibre, intimate, authentic and personalised wellness experience to its guests and to complement its golf experience, arguably one of the best in Marbella. Petite Sérénité has a glorious roof top location, adjacent to the hotels pool and terrace. Combining warm hues, natural materials such as wood and stone and contemporary design, Petite Sérénité is a tranquil sanctuary, with two treatment rooms, a wet treatment suite, a relaxation area, and male and female changing areas. Taking great care to avoid a formulaic and impersonal approach to hotel spa, great attention is paid to providing high levels of personal service and in developing innovative treatments including exfoliations, massage and rituals. At Petite Sérénité, treatments take inspiration from the rich local flora and are based on natural, indigenous ingredients such as jasmine flowers, honey, Muscatel and Mediterranean herbs to evoke the Andalucían culture and to deliver a unique experience that reflects the location. Treatments include Essence of the South body exfoliations such as the Salt and Fire Ritual,which combines a hot stone skin preparation with an exfoliation using nourishing sea salts, flower extracts and aromatic herbs; and the Malaga Flower Exfoliation, incorporating aromatic jasmine and geranium flowers. Both of these treatments conclude with a soft moisturising massage. Massages and rituals include the Rosemary Ritual, an invigorating treatment combining the tonic strength of rosemary with a firm massage. As a 29-room golf hotel, a number of treatments have also been developed with specific therapeutic focus on the needs of golfers, such as the Mint and Camomile Massage, a refreshing and soothing treatment that reduces tension in the feet and legs. With a serene location nestled between the Sierra Blanca and the Mediterranean Sea, just three kilometres from the bustling centre of Marbella, Sentidos en Rio Real also offers creative fine dining at the elegant Sentidos Restaurant, with legendary local dishes such as black pasta with fresh red prawns, complimented by wines from the hotels extensive wine cellar. In addition to the hotels beautiful par 72, Javier Arena-designed golf course, known to be one of the best in Marbella with spectacular views, other facilities include new floodlit tennis and padel tennis courts and a luxury motor yacht Rio Real III, moored in the glamorous Puerto Banús marina, and available for guests. Sentidos en Rio features 29 deluxe rooms and suites blending modern décor with traditional influences courtesy of renowned interior designer Pascua Ortega. Sentidos en Rio Real is 30 minutes by car from Malaga International Airport, which is well served by a number of airlines operating direct flights from 16 UK airports including British Airways, bmi, easyJet, Flybe, Globespan, and Monarch Airlines. London: As the autumn days get shorter and darker, the prospect of living in sunnier pastures becomes all the more enticing. Whilst the majority of Brits go on holiday more than their parents did in their day, this is not enough for nearly two thirds of the population who dream of settling abroad. Increasing numbers of Brits are opting for sunnier pastures with the majority tempted by a more relaxed and healthy lifestyle, according to a new survey by Italian food specialist Bertolli. In the non-stop world of the 21st century, we are bombarded with new ways to stay healthy but sometimes they just seem to make life more complicated. It is unsurprising then that the most popular destination for those wishing to relocate was Italy. Why worry, when you could just sit back, relax and be inspired by the common sense of the traditional Mediterranean diet  a huge 95% of those asked agree that its healthier than the British diet after all. We may not all be culinary experts yet 62% of us try to incorporate ingredients from foreign holidays into our everyday diet. However, 81% also agree that they’re never quite able to replicate the food weve had on holiday! Italian dishes such as risotto and pasta were the most popular for those trying their hand at foreign cuisine. As well as fruit, vegetables, grains, and fresh fish, olive oil is an essential component of Italian cuisine  the olive tree is so full of goodness, its oil has been part of the traditional Mediterranean diet for thousands of years. Even though us Brits might not be able to enjoy every aspect of the Mediterranean lifestyle, you can enjoy a touch of olive oil in your diet with ease. Q What is Bertolli spread made from? Rules: The prize: 1 beautiful olive tree (worth £50) – there is no cash equivalent available. The Editor’s decision is final. Competition closes 30 September 2007. The emails will be entered into a draw. Along the Adriatic coast that are small, tasty scallops cooked very simply so that their good flavour is not masked by other ingredients. Heat the oven to 180 C. Heat the oil and gently fry the finely chopped garlic. When it begins to turn colour remove from the heat and stir in the parsley. If the scallops are large cut in half, if not leave whole and allow 3 per serving. Arrange on a shell, season and spoon on a little garlic mixture, a squeeze of lemon and a sprinkling of breadcrumbs. Put them in the hot oven until they are golden brown. Remove and serve immediately. Leave the ricotta to drain for at least an hour. Then stir in the eggs, sugar, and other ingredients. Beat well to make sure you have a smooth, creamy mixture. Heat the oil and drop in a few tablespoons of mixture to form fritters, flattening them with a slotted spoon as they start to rise. Fry in batches, putting to drain on kitchen paper when they are golden brown. Dust with sugar and serve at once. Over the years this has gradually become one of my favourite pasta dishes, and we eat it all through the year. In Rome we can buy small bunches of wild rocket that has a pungent flavour, much stronger than cultivated rocket. Although the “ventresca” is usually considered the “best” cut of tuna, I find it easier to stir in the smaller flakes to get a more even distribution through the pasta. Therfore I use a cheaper cut, but for the flavour it is important to use tuna preserved in olive oil. Heat the oil and gently cook the garlic and chilli pepper. As the garlic begins to change colour add the drained, flaked tuna and stir around the pan. Keep warm. Cook the pasta in boiling salted water, drain when still slightly hard and stir into the tuna mixture. Squeeze over the lemon juice and stir in the rocket. Using a wooden spoon lift up the pasta and really keep turning it over so that the rocket wilts and the tuna is evenly distributed and not left at the bottom of the pan. Serve at once. Barbados: Sandy Lane, on the Caribbean island of Barbados, is a luxurious and beautiful retreat which has recently been voted IAGTO Golf Resort of the Year 2007. With the assurance of attentive service, luxurious accommodation, an exceptional Spa, world-class cuisine and three championship golf courses, guests are guaranteed a very special and memorable holiday. Summer is an ideal time to visit. Not only is the weather at a very pleasant 30 degrees during the day, but Sandy Lane is offering exceptional savings. Stay 7 nights for the price of 5 nights from £1,875 per person, based on 2 adults sharing an Orchid Room on bed and breakfast basis. Price includes 4 rounds of golf at the Country Club course per person on a 7 night stay, including golf cart and one lunch for two at the Country Club or Spa Cafe. Saving £715 per person. One Country Club golf round per stay can be substituted for a round on the famous Green Monkey course at a supplement of US$150 per person including golf cart. Each golf round can be substituted for a spa voucher worth US$50. Spa Vouchers are redeemable on treatments booked from 10.00am  3.00pm daily. Vouchers are non-transferable or combinable and one spa voucher redeemable per treatment. Valid 1  30 June 2007 & 1  30 September 2007. The price includes return flights from London, full daily breakfast, return Executive transfers and unlimited non-motorised water sports. Sandy Lane is located on the western coast of the island of Barbados. Originally built in 1961, Dermot Desmond, J.P. McManus and partners purchased the property and golf course in 1996 and completely rebuilt and expanded, opening in March 2001. This exclusive 112-room resort has stylish lodging in rooms that average 900 square feet, a five-bedroom villa, luxury Bentley airport transfers, four restaurants including the signature restaurant LAcajou, five bars, a 47,000-square-foot spa and three distinct golf courses offering guests the best golf in the Caribbean. Two of the courses are Tom Fazio-designed 18-hole courses including the Green Monkey Course. Rates for 2007 at Sandy Lane range from £460 to £1,895 for rooms, £820 to £2,815 for suites, and £1,840 to £4,710 for penthouses, and £4100 to £12,800 for the Villa at Sandy Lane. For more information and reservations, visit the resorts website, www.sandylane.com or call Sandy Lane at (246) 444-2001 or toll free at 866-444-4080. Sandy Lane is a partner of Virtuoso and a Member of Preferred Hotels and Resorts. 1535 North East Butte Road, Jackson, Wyoming 83001, U.S.A.
Jackson Hole Mountain Resort, just 20 minutes away from Amangani, is open from 4th December, 2004 to 3rd April, 2005. Cross-country skiing, heliskiing, snowcat rides, snowmobiling, snowboarding, dog-sledding, snowshoeing, sleigh rides and wildlife safaris are among the outdoor activities on offer this winter season. For seasonal offers see Amangani Winter Alpine Experience and Amangani Ski Experience. On a hill on a private island which is reached by boat – 20 minutes from the main island. It has 58 rooms and villas with a view of a white sand private beach. The Shambhala Spa has six open-air treatment pavilions where you can sample Ayuredic therapies, reflexology, yoga, massages, body masks and facials. Clients include celebrities and the wealthy including Demi Moore, Bruce Willis, Donatella Versace, and Julia Roberts. Costs: Very expensive. A vast range of therapies. Cuisine is a healthy blend of Mediterranean and Asian. In a hillside position with beautiful views of the Gulf of Naples and the Mediterranean, this spa has doctors who create tailor-made programmes for all kinds of ailments from weight-loss to stress-busting. There is a large pool and a gym. The treatments focus on massages, thalassotherapy and mud cures. Also available are cosmetic treatments and the latest machines to hone the body into shape and refine and tone the skin of the face and body. There are a number of special leg treatments of which Sophia Loren is reputed to be a devotee. The “Leg School” specialises in stimulating circulation using hot and cold water therapy to improve elasticity, skin tone and shape, as well as fighting cellulite. Cuisine is Mediterranean and diet food is available in a choice of three restaurants. The spa is famous for its curative mineral waters that are reputed to help all kinds of illness including arthritis, rheumatism and skin problems. The hotel has views of the sea and mountains. A large number of hydrotherapy treatments are available, as well as reflexology and inhalation therapy. Specialities are the Cream Cleopatra bath, the grape paste facial and the Oriental Rasul where Moroccan fango mud is spread over the body. There are two restaurants that serve food using organic ingredients. The Brenner’s Park-Hotel & Spa in Baden-Baden has a Medical Spa which offers a diverse program of healthcare. A team of professionals and the latest examination and diagnostic techniques are available. Treatments: massages including acupressure, scrubs, facials and body treatments, manicures, pedicures. Gourmet and diet menus are available. The Royal-Thalasso Barrière is a “temple” of health and fitness, set in the heart of a garden surrounded by century-old pine trees. Facing the sea, this hotel is a haven of peace, perfect for relaxing and recuperating. The spa which specialies in thalassotheraphy, is in an airy wood and glass building that optimises natural light and has a gym. There is a 45-hole golf course nearby. Treatments: the MediMer Anti-Ageing Cure, aromatheraphy, reflexology, shiatsu, anti-smoking, slimming, arthritis. The inhouse team of specialists includes physicians, physiotherapists, osteopaths, dieticians and hydrotherapists. Makeovers are a speciality with a make-up artists, hairdresser and style consultant.